Imports of AI-92 gasoline are temporarily exempt from customs duties. The decision was made by the Cabinet of Ministers of Azerbaijan. Earlier, the customs duty rate for AI-92 gasoline was 15 percent. 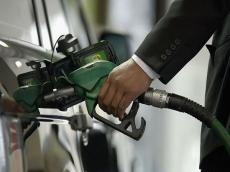 By another decision of the Cabinet of Ministers, the excise rate on AI-92 gasoline imports has been reduced from 200 manats per ton to one manat. Both decisions of the Cabinet of Ministers will not apply to aviation gasoline. The decisions has come into force on October 1, 2018 and are valid for 90 days starting from October 1. Azerbaijan's state oil company SOCAR told Trend that such decisions of the Cabinet of Ministers are associated with a temporary suspension of petroleum products' production at the Heydar Aliyev Baku Oil Refinery in connection with routine maintenance, as a result of which certain volumes are imported from abroad.